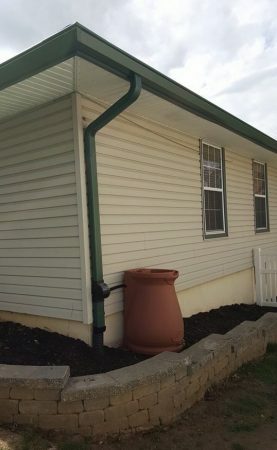 How Can Upgraded Gutters Add Value to My Home? Maintaining the gutters of a home is one of those tasks you never really think about until you have to do it. Then when you’re up a ladder all weekend tediously removing leaves, you realize it’s a huge pain. That’s why homes with K-Guard Leaf Free Gutter Guard systems have that added peace of mind for homeowners and actually add value to your home. The K-Guard system is an industry-leading gutter protection solution that will save you tons of money in maintenance costs. They will also save you on time that you would have to spend cleaning the gutters yourself. Their longevity and high-quality manufacturing mean that you can enjoy these perks for years to come. Best of all, if you plan on selling your home in the near future, potential buyers will love the fact that your home has this maintenance-free feature. We all want more time with family, to do our hobbies, and maybe just to sit around and enjoy our homes. If you own a house though, you know that many of your weekends are spent on projects. One of those inevitably ends up being cleaning out your gutters from years of built up leaves. Not only is it a time-consuming task, it’s also messy and dangerous. If you have a two-story home, you have to climb up on a tall ladder to get to some of your gutters. You also have to invest in expensive power washing equipment if you want to get the job done in any respectable amount of time. If you aren’t doing it yourself, odds are you have to pay someone to come out and clean your gutters for you which is an added maintenance expense each season. Depending on the size of your home, gutter cleaning services can run into the hundreds of dollars for a single cleaning. Multiply that by two times per year and a K-Guard system starts to look like a pretty good investment, especially when you consider that it can last for more than two decades. Gutter guards will provide you with years of reliable service which makes them extremely valuable. They can add time to your life that you would otherwise be wasting cleaning gutters. The K-guard system is made of high-quality polymers that will not sag like other gutter systems. The special coatings put on the components of this system are rated to last two decades. That is 20 years of not having to climb on your roof to clean out gutters or paying someone else to do it. The K-Guard system will prevent overflow damage, keep leaves and other debris out of your gutters, and will not sag like other protection systems. 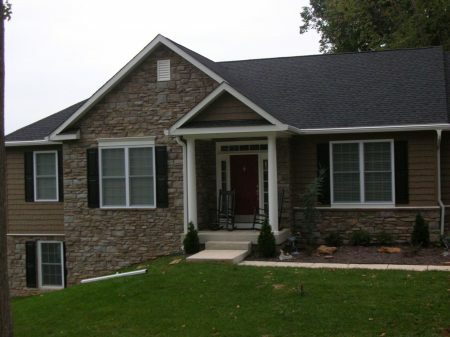 The K-Guard gutter system is one of those features that potential home buyers will love to hear. The only real way to add true value to a home is by the added square footage, however, perks like gutter guards are things your Realtor can place in marketing materials. People shopping for a home know that a system like this will save them tons of time and money on maintenance costs which can get pretty high for homeowners. The K-Guard system will also look much more attractive on a home than competitor’s similar products. To upgrade your gutter system, find a dealer near you today and request a free estimate!